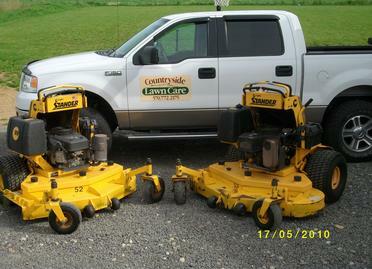 Countryside Lawn Care is family-owned and operated in Montoursville, PA. Since opening in 2010, we have treated every customer like they were a part of our family. Other companies may offer similar services, but our services come with a friendly and professional staff that are accountable and available 24/7. We believe customer service is the most important quality that we offer for our residential and commercial customers. Countryside Lawn Care offers a wide variety of services to its customers, including lawn mowing, landscaping, landscape lighting, fertilization, weed control, retaining wall construction, dirt work, mulching, spring and fall clean-up, gutter cleaning, snow removal ... and much more.